I was in Malaysia when I first heard about the typhoon that swept over some areas in Mindanao. I did not understand it's intensity until after I saw some pictures and read news about how many people were affected and lost their lives. I could not begin to reconcile upon myself how unfortunate those affected people are. It's unnerving to know that my family could have been easily affected by the typhoon too as they are in Mindanao and a mere 8 hours away from the center of the devastation. from mountain slopes following 12 straight hours of heavy rains in Mindanao. Drowning has been identified as the main cause of death. Sendong affected 21 municipalities, 78 barangays and 13,924 families (63,779 persons), with 245 injured and 807 reported missing. 3,422 houses were totally or partially damaged and there are still 38,332 persons housed in evacuation centers to date. There are currently 7,431 persons in 4 evacuation centers in Iligan City, which was consumed by flashfloods last night after the heavy downpour of rains. Cagayan De Oro, which has now been placed undera state of calamity, experienced 180 mm of rainfall in less than 24 hours, which has led to massivefloods in 23 of its 80 barangays, leaving about 20,000 residents in evacuation centers. Prior to theonslaught of Sendong in Zamboanga del Norte, about 143 persons had already evacuated their houseswhich were destructed by flash floods that swept the municipality of Polanco as well as Dipolog andDapitan cities. Dapitan River had overflown early yesterday morning which flooded several barangaysin Dapitan. Click this LINK to read more and to provide any donation online through credit card or online banking. Your generous hearts will be blessed a hundred fold. As of December 20, the Red Cross Organization has already collected: Php9,380,550.00 + US$1,000.00. You may also visit the blog of Patty Laurel for more information on how to donate through the Ateneo de Manila University. Help spread the word by posting redcross.org.ph #giveupgifts4cdo on your Facebook and Twitter profiles today! For Gawad Kalinga donations, please click this link. 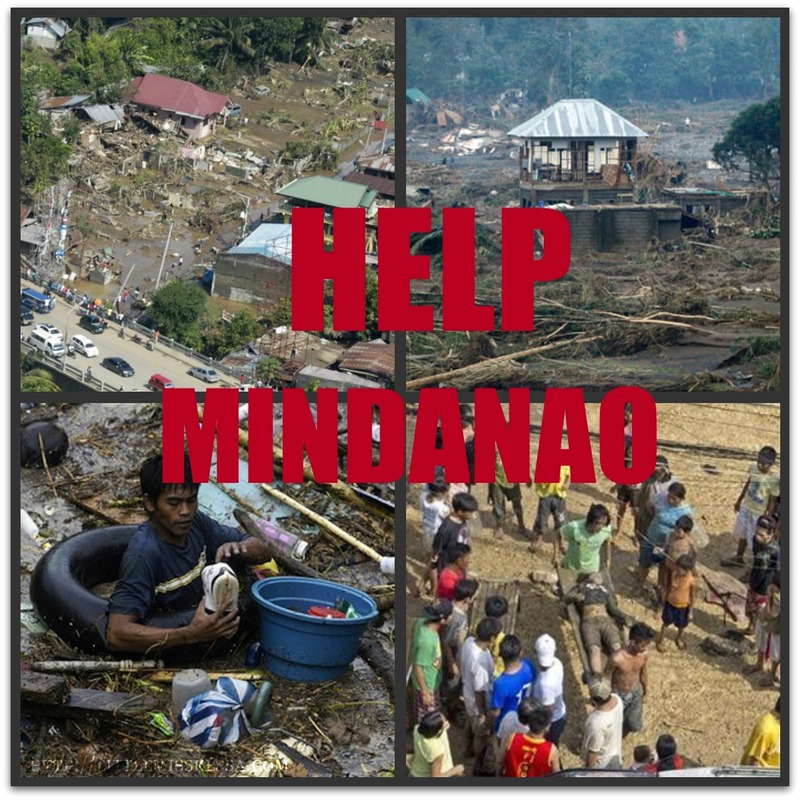 Please help mobilize volunteers for Cagayan de Oro and Iligan City. Proceed directly to DSWD Covered Court in Masterson Ave., Upper Carmen, CDO and contact Division Chief Manny Borres at mobile number 09066150095. For NCR based volunteers may go to the National Resource Operations Center (NROC) NAIA Chapel Road, Pasay City (beside Airport Police Department & back of Air Transportation Office) with telephone numbers 852-8081, 851-2681 and CP 09189302356 (Ronald). Please bring your own foods and drinks or look for sponsor for this. DSWD through the NROC, is also accepting donations like bottled water, biscuits for children, and easy to cook foods.